Fonda San Miguel won't show up in most of the searches you do for the best restaurants in Austin. 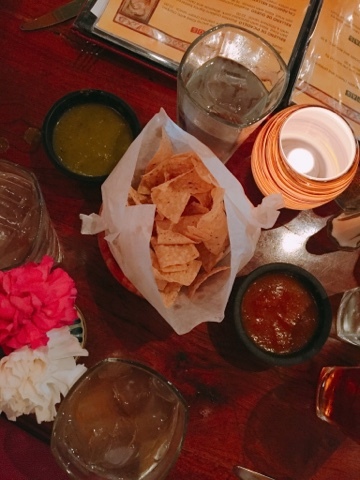 It's a food town, Austin, and among the Franklin BBQs, zillions of trendy food trucks, and migas and queso joints, I'm not sure Fonda San Miguel is quite cool enough to rate on most people's must eat guides. What's crazy is, in nearly any other city in America, this would be the best place in town! 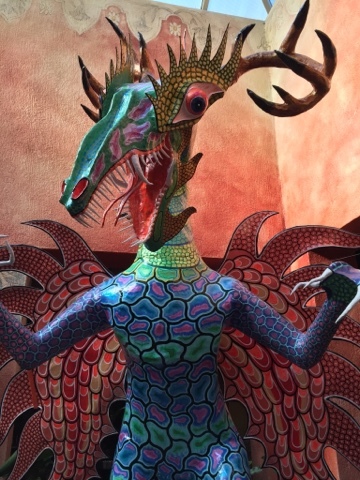 More than 30 years old, this hacienda-style culinary theme park has it all over the migas trucks and hipster fusion joints that crowd downtown. It's absolutely gorgeous inside, with multiple dining rooms and a bar serving up downright delicious margaritas and cocktails. They also serve freshly fried tortilla chips and house made, fiery red and green salsa in there. Don't miss out on these absolutely delicious, and free, starters. The salsa verde was powerfully spicy, but I couldn't stop eating it. 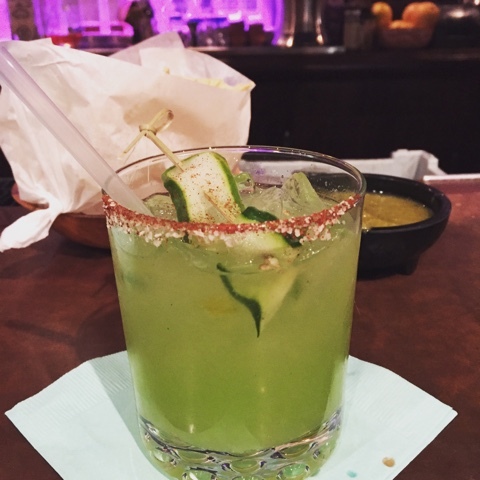 Even the chile and salt-spiced rim of my cucumber margarita was inspired. 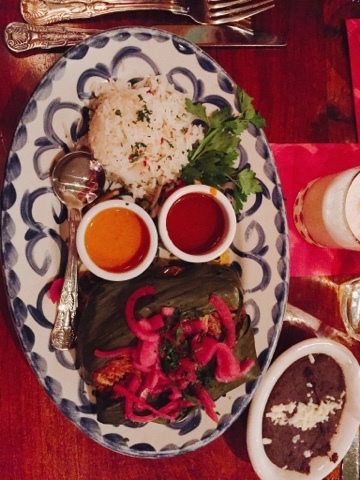 The menu at Fonda is seductive, and I easily could have gone for duck enchiladas or chiles rellenos, but it was probably a forgone conclusion that I would actually order the cochinita pibil - pork, slow roasted in a banana leaf. 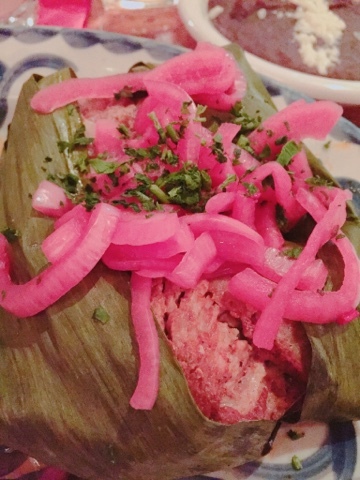 Crowned with hot pink pickled onions, this rich, tender meat was juicy, with the faintly floral taste of the banana leaf baked into it, but mostly unadorned - the unctuous flavor balanced by the bracingly sharp onions. Fluffy white rice and black beans, plus a pungent, fierysalsa made with ground up almonds and chiles and another milder one with a tomato base, rounded out this feast. My coworker Paula ordered the shrimp in chipotle cream sauce. The menu called it spicy, but I found the flavors of her homey dish balanced, rich and deep. This was decadent, but not like most of the Tex-Mex food we're used to. 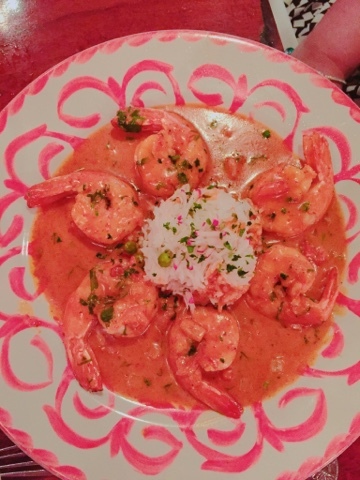 Instead of a cheese-laden, highly salted meal, the shrimp were light, the chiles were bright and alive, and the crema served to extinguish the heat without blanketing the fire completely. You were left with the spicy, raisin-y flavor of the chipotle and the sweetness of the shrimp, swimming in the savory sauce. Excellent. My other colleague, Ernie, ordered the duck chile rellenos, which looked outrageously delicious, but I did not venture a taste. Sometimes, on work travel, it seems a little much to be eating off everyone's plates at dinner. 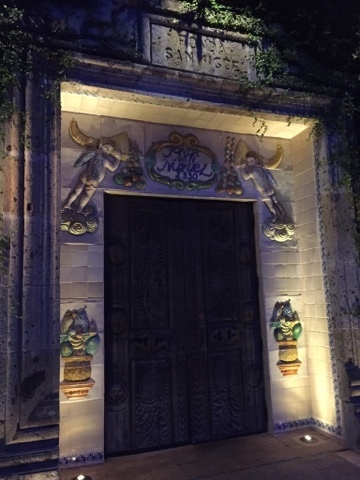 Rest assured, I'm entirely comfortable recommending Fonda San Miguel to you based on the foods I did try. Our waiter, as well, was infinitely patient as we asked menu questions about the very authentic Mexican menu. As I said previously, the food here has little in common with the taquitos palors we're mostly familiar with, so a little guidance is a welcome favor. 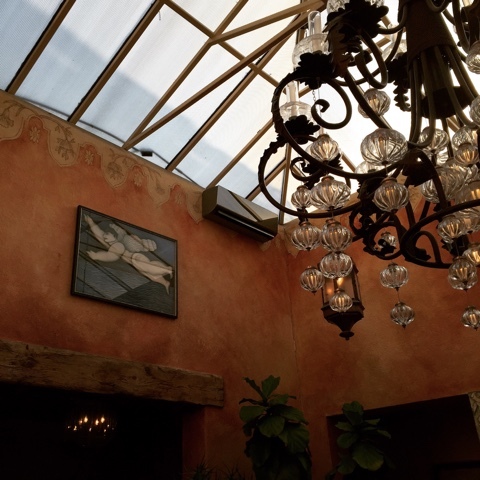 I give Fonda San Miguel a nine on the BHS scale, for the stunningly beautiful interiors and friendly and professional service, but also for the distinctive, authentic fare of old Mexico, wrapped in a luxurious veneer. 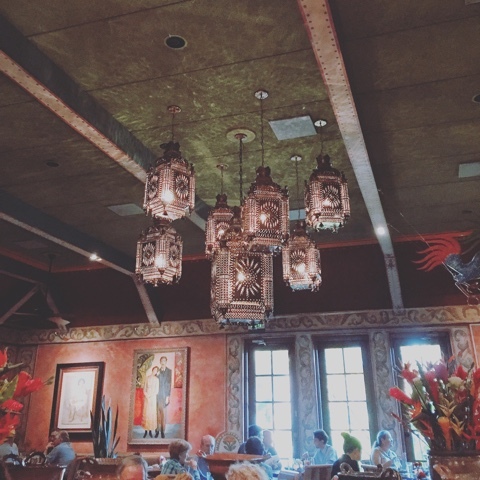 For me, this would be a fabulous date night spot or a great place for a business meal (which is what we were doing). It's a different world from the typical hip, grungy Austin haunt. I hope you check it out next time you're in Texas Hill Country. My personality is big, my hunger is bigger!